When I was a kid, I always enjoy my family out of town trips as it provides an opportunity for the entire family to bond and catch up with one another. You see, my dad enjoy travelling, visiting beautiful places and having his wife and children around all the time. We have travelled to the different provinces in the Philippines from Luzon, Visayas and Mindanao and to other countries. I love our trips as something magical always happens when we are together, routine activities like walking turns into a fun activity. I guess, because aside from being together we always bring foods that more than just satiate our hunger but also satisfy our cravings for good food. So, when my son suggest camping for the family this summer, I couldn’t help but wonder what are we going to eat for camping. Camping is a great bonding time for the family, no doubt about it. Many families consider camping a fantastic opportunity to spend time with each other, do things they usually would not do and just bond. But of course, camping is not fun when you don’t have anything good to eat, especially when you have little kids or teenagers that never run out of appetite. That’s why, I searched the internet for camping food ideas to ensure that I and my camping buddies can all have a nice meal outdoor. Of course, camping means only a skillet and fire at your disposal, as well as wits to feed yourself and everyone with you. Therefore, the meals should be dead simple but absolutely fulfilling enough to keep everyone energized and fit for camping activities like hiking and canoeing. By the way, camping is more fun when everyone get to cook, so I have searched the internet for camping food ideas that are not premade as I wanted everyone to bond. 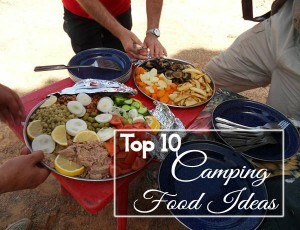 And here are what I discovered the great camping food ideas, tried and tested campfire foods. 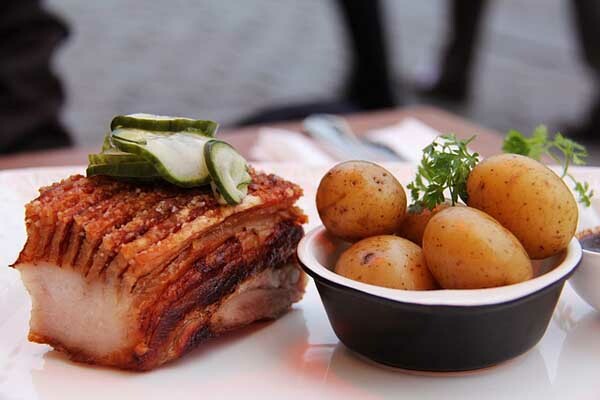 Below are camping food ideas that you can consider for your next camping trip. Since time immemorial, beans had been an official camping food. In fact, I have seen a lot of movies wherein beans are always part of the camping food menu ideas. I guess beans top the list because these can be prepared any number of ways. With a few other ingredients thrown into the skillet, the beans turn into a gastronomic dish. 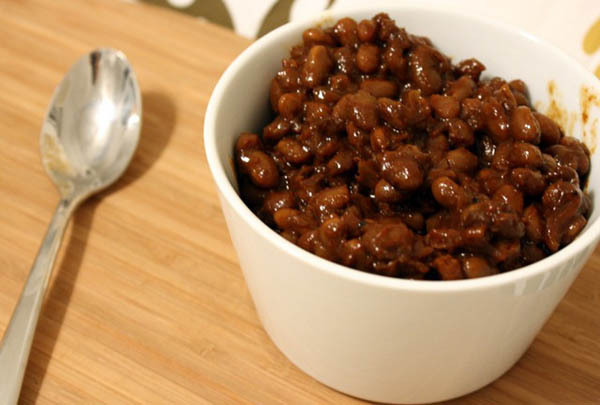 Moreover, beans are loaded with both protein and fiber, so you can definitely have a fulfilling and healthy meal. As I have said earlier, you can prepare and serve beans in many ways. One of the ways to serve beans is to throw a couple of sliced hotdogs and onions into a skillet with two cans of baked beans. Serve it hot, and you got a frank and beans dish. Grilling hotdogs or other meat is the simplest and oldest way to prepare food in the cookery world, in my opinion. I could be wrong I am not a food expert. You can roast hotdog on a stick, over a roaring fire. 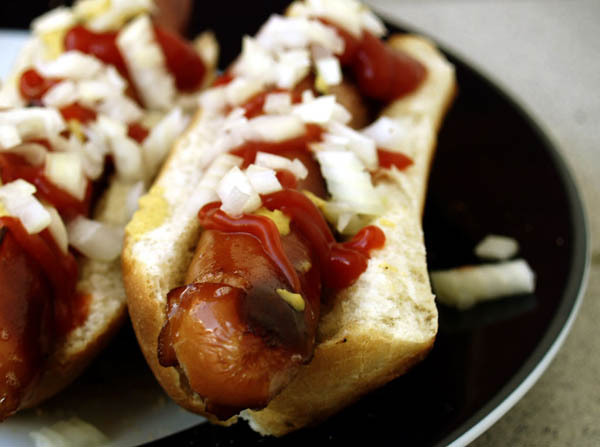 Hotdogs are very popular camping food also because these are cheaper processed food, pack, and ready to cook, require minimum refrigeration only and most importantly, you can grill or roast hot dogs. You can never go wrong with hot dogs as both adult and kids love them. Cornbread is the perfect accompaniment to baked beans. 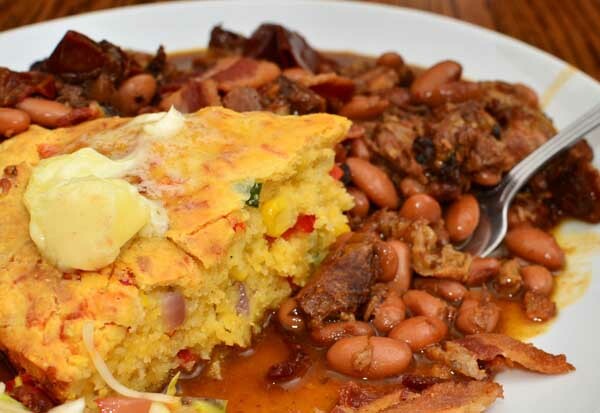 It is an ideal camping food because cornbread is easy to prepare even when you are outdoor. In fact, you can make cornbread from scratch just bring a premade cornbread mixture, water, salt and grease. Cook your cornbread on a hot skillet greased with either butter or bacon fat. 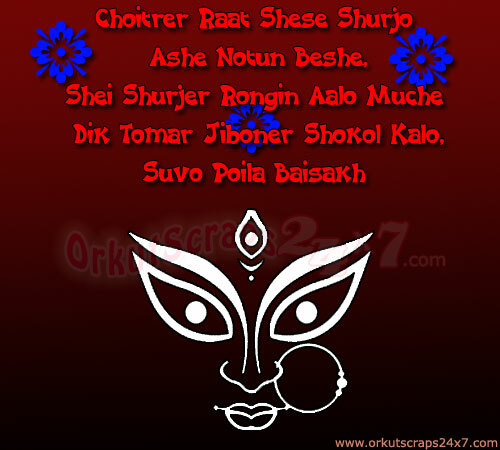 Once done, serve immediately. Chili is another staple camping food. This is a favorite of many campers because it taste great, easy to prepare and versatile. You can cook chili ground beef, venison, or turkey, but since you are cooking meat with it, cook your chili on the first day. Meat spoils without refrigeration. 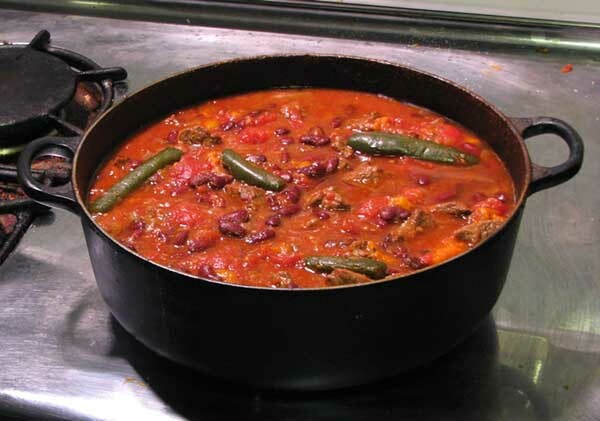 Cooking chili are easy, just browned the meat, and then pours off some of the fat before adding two cans of tomatoes, beans, onion, jalapenos, and chili spice mix. Add water and let it simmer until the meat is tender. 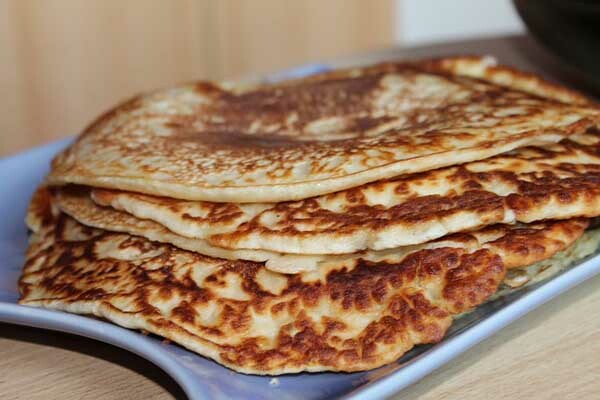 Hotcakes, pancakes, flapjacks, whatever you call them are an ideal camping food. They are easy to make, old fashioned but very filling. You don’t need to be a chef to cook hotcakes and best of all, you can buy premade hotcake mixture. To make your pancakes tasty, spread some maple syrup and butter. Pancakes are also great when accompanied by crunchy, great tasting bacon, another staple food in camping. If you are camping near a lake or sea, and very good at catching fish then you can just catch a fish for dinner. 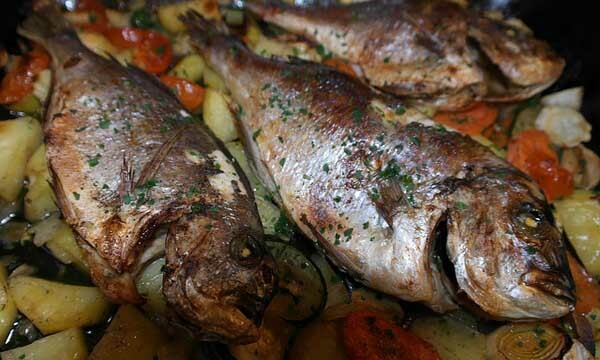 Fish are also great camping food as you can boil, fry, grill or roast a fish. Broiling a fish takes only 5 minutes, each side. So, if you are really hungry just start a fire and place your fish over it. Cooking potatoes outdoor is also easy you don’t even need a pot or skillet to cook a great tasting meal. You see, a tin foil can do many wonders including cooking baked potatoes. Aside from baking potatoes, you can also fry or roast it, like what you do to a corn. By the way, when baking potatoes in a campfire, you should poke the potatoes with a fork to cook the inside evenly. According to an expert, my brother, potatoes usually cooked in half an hour, so prepare your potatoes ahead of time. 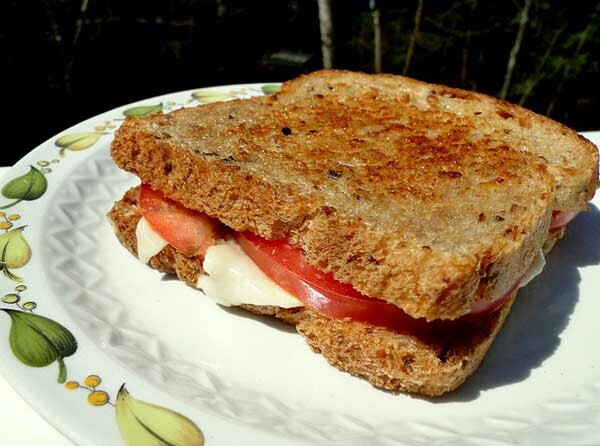 Sandwiches are great camping food as use your iron skillet or camping press to make a delicious and hot Panini. Bread is also easy to prepare, so you can make different types of panini sandwiches like grilled cheese or butter sandwich. You can fill your bread with anything, and best of all, bread don’t spoil easily. 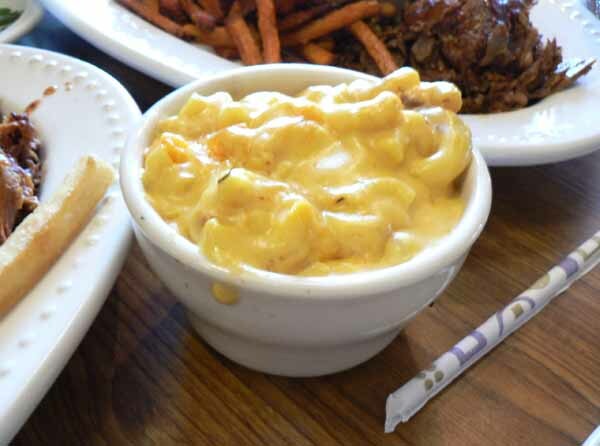 Macaroni and cheese are also a camper’s favorite food because it is filling and delicious. You can cook it after setting up the camp, you can prepare the pasta in advance at home then store in a tight container. 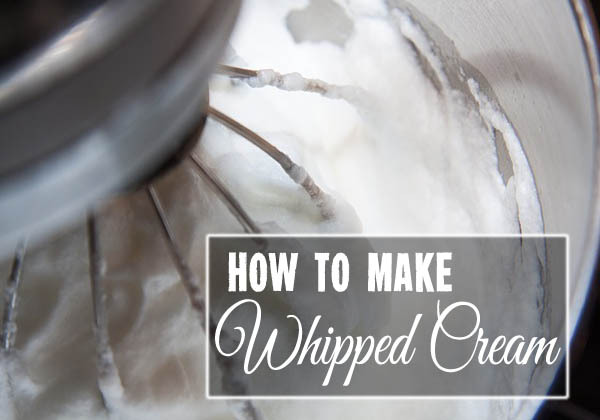 You can do the same with the cheese, butter, bread crumbs, etc. It is best to cook the mac and cheese right after setting the camp to avoid food spoilage even if you brought a cooler at a camping site. As I have said earlier, grilling is the easiest ways to cook food. You just start a campfire surround it with big rocks enough to hold a skillet or pot then you are ready to go. 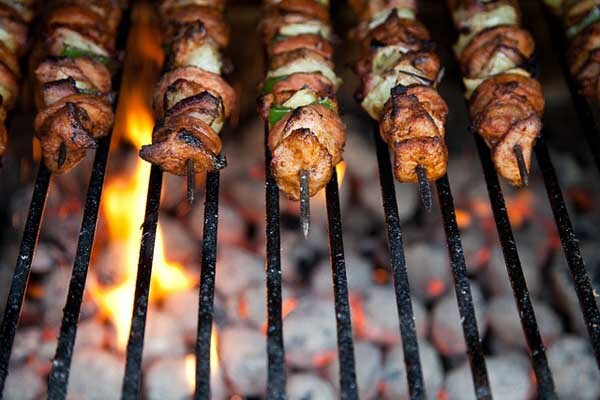 Grilling marinated meat like steak or chicken saves you time and it is very easy, you can also have a filling and tasty food after a tiring camping activity. Before I give you my camping menu ideas, I want to give you a few tips. For example, get all of your preparation done at home, it is much easier to cut and slice at home than outdoor. Besides, you can enjoy your vacation even more when you do not have to spend a lot of time slicing up the chicken or cutting potatoes. You can spend more time relaxing and doing fun activities with your family or friends at camp when you have everything sliced, cut and packed in individual containers. Just get the ingredients you need for lunch or dinner, cook and eat. It is also wise to invest in a portable grill or camping stove they are great to have on hand. Come to think of it! You can save a great deal of time when using camping stove, grill for cooking your food. Most importantly, you can have a pleasant experience outdoor. My brother, who camps a lot, told me that camping stove is a lifesaver. Moreover, when camping with kids especially toddlers make sure, you have enough bags of biscuits, and other snacks that will keep them happy and quiet even for a few minutes. I am sure, you know how crazy things get when the little ones are hungry and tired, so for your peace of mind bring a snack. For teenagers, bring a bag or two of chips or their favorite snacks, so they have something to munch on while you are preparing food. Take note, based on my experience with my kids, it is best that you have extra food as well, there are no nearby stores to buy foods and even if there is, you don’t want to waste time running around for a bag of chips. I hope my camping food ideas helped you prepare the right food your next camping trip. Thank you for dropping by, and have a nice camping with your friends or family.